← Autumn Diesel Day Thanks! News & 2014 Operating Dates – Including January Action! We are very pleased to be able to confirm our 2014 operating days at the Llangollen Railway. We look forward to being part of a very historic year for the Railway when we run our first trains to Corwen, although this is clearly subject to completion of extension work. Saturday 4th & Sunday 5th January. The Winter Warmer Gala. Featuring D5310 double-headed with resident steam fleet. Type 2 action with heated stock. Saturday 22nd March. Spring Diesel Day. Featuring D5310, 6940 & 08195. It is hoped that 08195 will work a full trip along the line in the morning. Although trains may run to Bonwm the Corwen extension will NOT be open at this point. Saturday 3rd May. Diesel Running Day. Traction TBC. 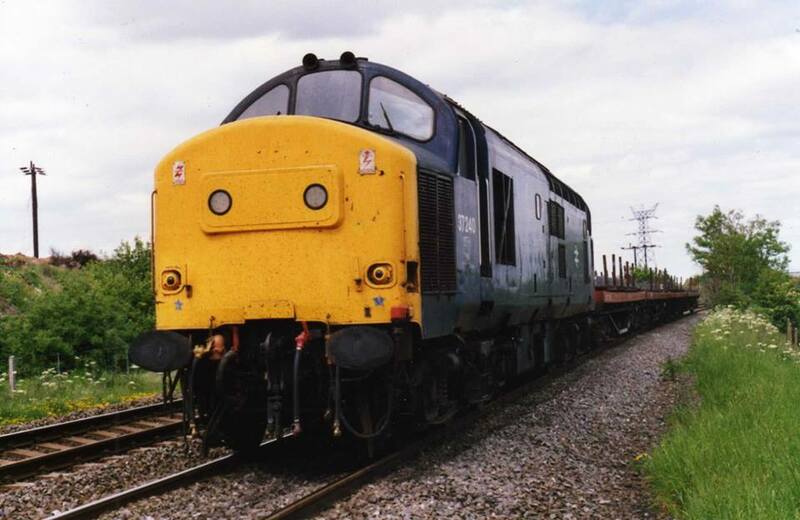 First diesel-hauled train expected to run to Corwen! Saturday 14th June. Diesel Running Day. Traction TBC. Corwen running. Saturday 5th and Sunday 6th July. Classic Transport Weekend. Featuring D5310 & 6940. Corwen running. Saturday 26th & Sunday 27th July. 1960’s Weekend. Featuring D5310 & 6940. Corwen running. Saturday 27th September. Autumn Diesel Day. Featuring D5310, 6940, 08195 and possibly the return to traffic D1566 (subject to overhaul work and funds). Corwen running. 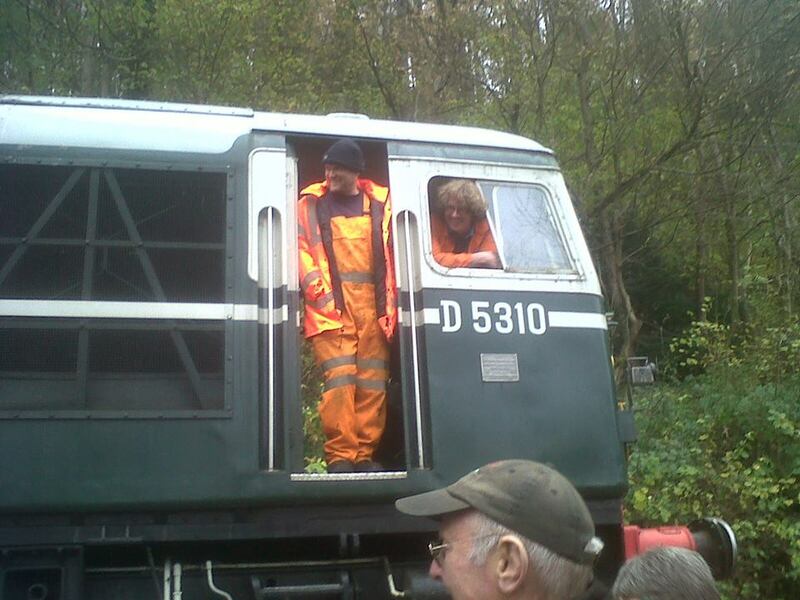 Work on the fleet at Llangollen has seen the much-needed oil change on D5310 completed earlier this month. The loco then took part in a tunnel evacuation exercise on 16th November for crew training purposes and was crewed by Iain Ross and Matt Davies. Thanks to Charles Allen for the photo. All went well. 6940 has now been prepared for winter, with the coolant circuit drained and partially dismantled. The oil cooler and water pumps have been filled with antifreeze and the rad room has been sheeted over with a tarpaulin to protect it from the elements. This is identical preparation to last year – which saw us through some pretty harsh weather with no damage. D1566 is also sheeted over for the winter, although activities for preparing to continue with the overhaul continue. A full set of transition joints and gaskets are on order from a specialist supplier, as is new steelwork to repair the corroded areas of the roof. The Group would like to thank everyone who has supported us this year and wish everyone a very happy Christmas. Here’s to a great 2014! What better way to finish the year than by turning back the clock and looking at 3 superb images of our locos when they were still at work on the “big railway”. First we have a very historic seasonal image of D1556 steaming away in the February 1970 cold under the 1500VDC catenary at Penistone, having just worked over the legendary and greatly missed Woodhead route. Many thanks to Keith Partlow for allowing us to reproduce it here. And then we delve back into 37240’s past. Still in Yorkshire, but the slightly warmer climes of the 25th May 1989 and the Doncaster avoiding line, working between the scenic locations of Grimsby and Wolverhampton with a steel train. Thanks to Jon Gibbons (who was crewing her!) for the phot – a name many will be familiar with after 5580’s rather rateable visit to Llangollen between 2011 and 2012. 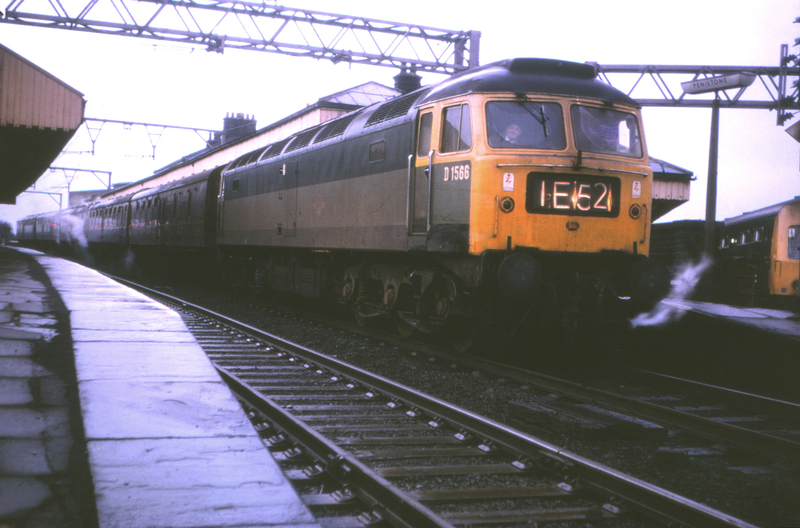 And finally, we’ll set the time machine to jump back 3 years to 1986 and land North of the border at Edinburgh Waverley, where we find a Railfreight-liveried 26010 ready for departure on the 1805 Edinburgh – Cardenden on Friday 12 September 1986. Thanks to Bob Shands for sharing this evocative shot on Flickr. 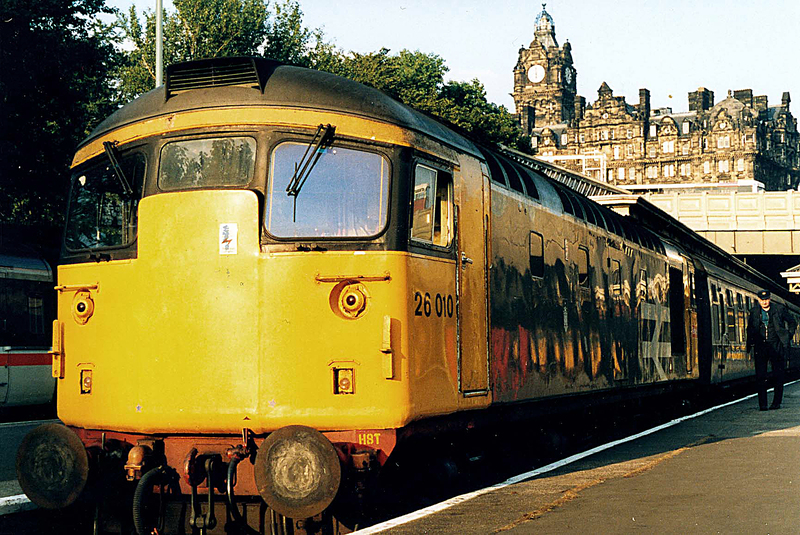 If only you could turn up at Waverley for a spin like that now eh?